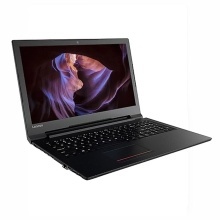 Lenovo V110 Notebook designed with business style and portable size, only 2.3kg, as thin as 19.3mm, features 15.6-inch HD (1366*768) display with antiglare technology to present your photos and videos in life on the screen, the powerful Windows 10 operating system make it easy to check E-mail and manage digital files, powered by Intel core or AMD Platform processor to ensure high performance. Operating System: Windows 10 operating system offers you wonderful user experience. CPU: Intel dual core/ AMD platform processor, up to 2.4GHz. Screen: 15.6-inch HD 1366*768 resolution, vivid and colorful visual effect. Storage: 4GB DDR3 RAM for advanced multitasking, 128GB SSD/500GB HDD storage capacity. Camera: 0.3MP camera, support face-to-face chat. Other features: USB3.0, USB2.0 port, HD interface, RJ45 network interface, built-in stereo speakers, BT, etc. Life time About 5 hours, depending on the specific use environment. It is Chinese Version, Chinese System; therefore, it needs to be upgraded by itself or by professionals, so that upgrads to a professional version in order to load language packages and switch system languages.